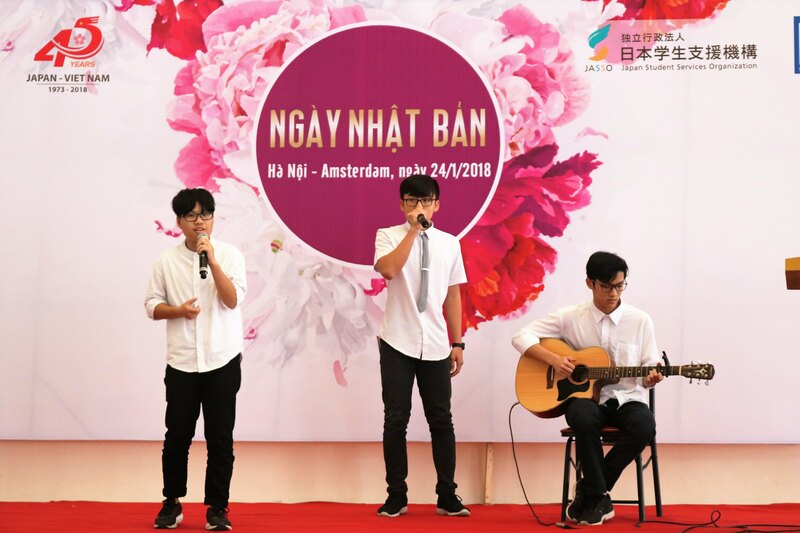 Hanoi – Amsterdam High School for the gifted warmly welcomed not only the presence of the Amsers, but also the students from Phan Dinh Phung High School and Kim Lien High School together with representatives of eight major universities from Japan, the Japan Embassy, ​​Japan Student Services Organization and the Association of Vietnamese Students in Japan. 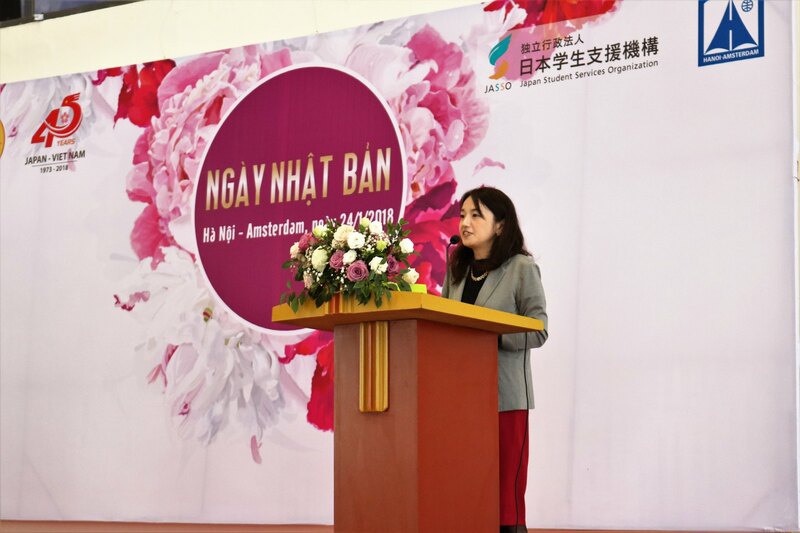 At the beginning of the program, Ms. Okada Yoshiko - Head of JASSO's office in Vietnam delivered the opening speech. Ms. Okada Yoshiko introduces major universities such as Tokyo International University, Kyushu University, Waseda University, etc. - where the curriculum is in both Japanese and English, helping international students blend in. Ms. Okada Yoshiko also expressed her joy and sent her sincere thanks to the guests and students for their enthusiastic participation. 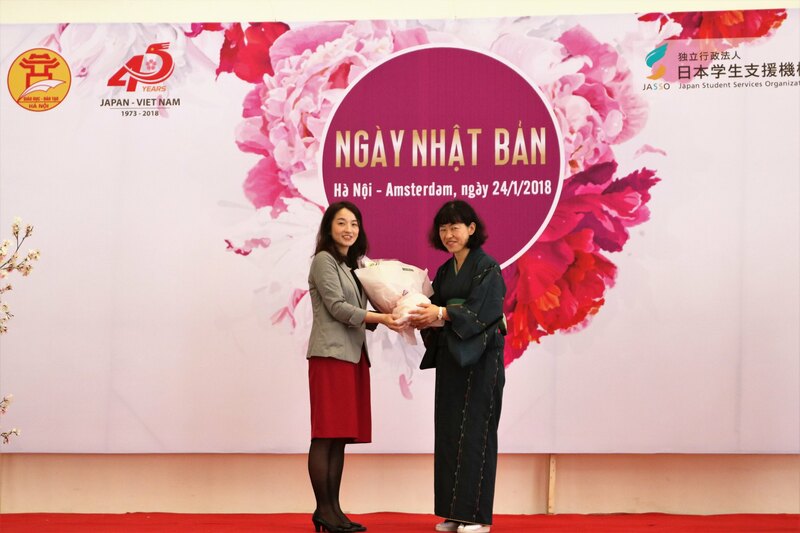 Subsequently, Mr. Ho Quoc Viet, Vice-Principal of the Hanoi – Amsterdam High School for the gifted , shared his gratitude when Japan created and expanded the opportunities for high school students to learn about their culture and people, as well as education in Japan. 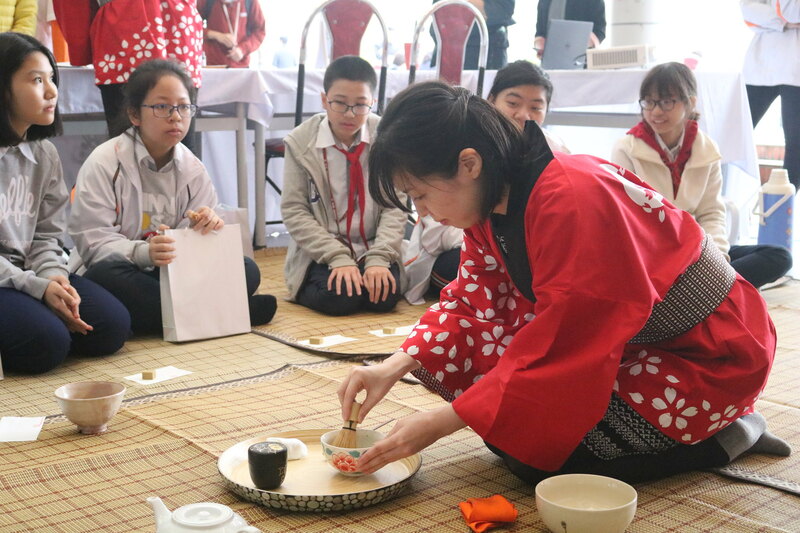 He believes that the festival will promote the sustainable cooperation between Vietnam and Japan in general and the education sector in particular. 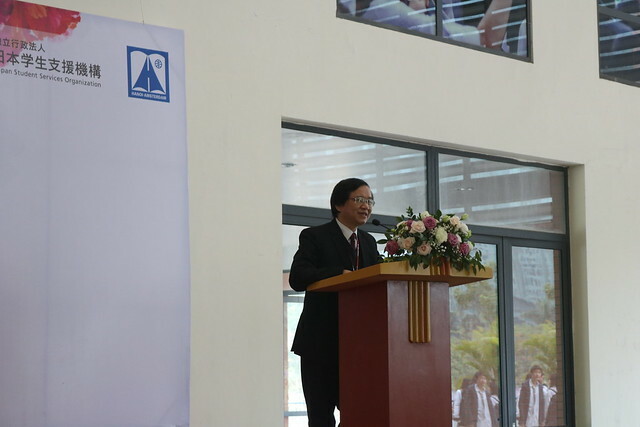 Mr. Ho Quoc Viet, Vice-Principal of the Hanoi – Amsterdam High School for the gifted , expressed his sincere thanks to the Japanese Ambassador in Vietnam, JASSO Japanese Student Services Organization and Japanese universities,as well as the students had an enjoyable experience of the Japanese culture. 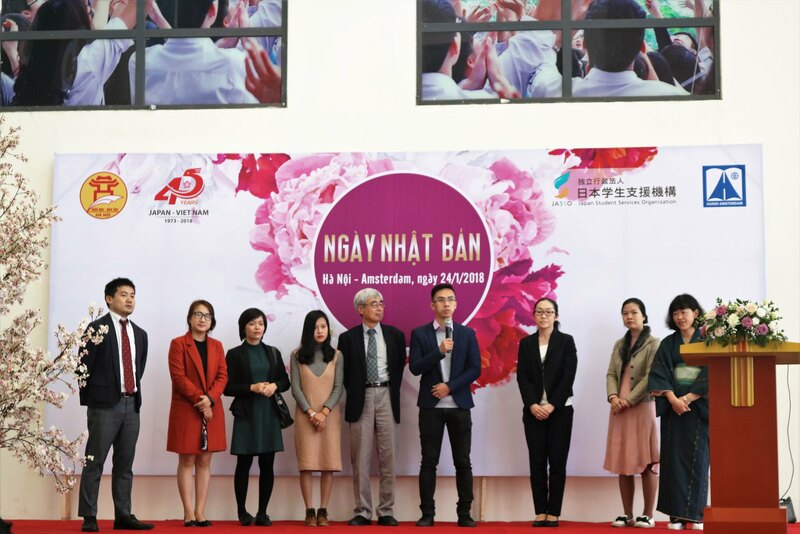 At the ceremony, Ms. Ai Chuman, Secretary of the Embassy of Japan, in charge of Culture - Education said that among the students in Japan, there are 70000 students in Vietnam. This number is ranked second only to China. 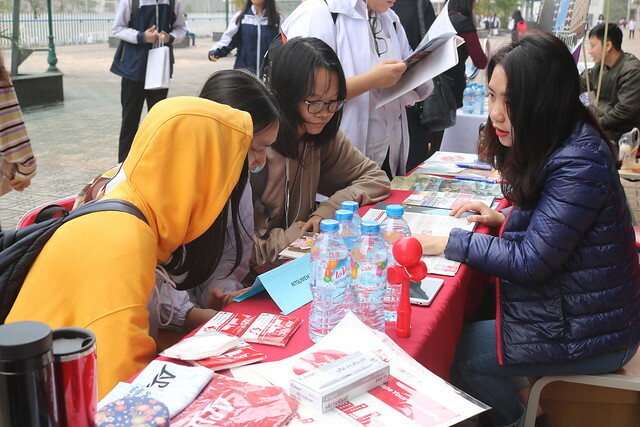 Ms. Ai Chuman affirmed that the young people of Vietnam are the bridge between the two countries and hope that the students, especially the 12th grade, will be the most accurate informed about studying in Japan thanks to JASSO for providing information on studying in Japan. 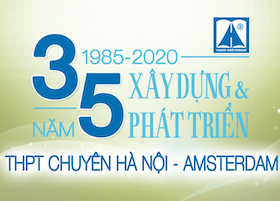 JASSO will do its utmost to support not only universities but also vocational schools and scholarships suitable for young people in Vietnam. Finally, the delegates, the teachers and the students from the three high schools had explored the Japanese culture and had a very interesting, memorable experience. 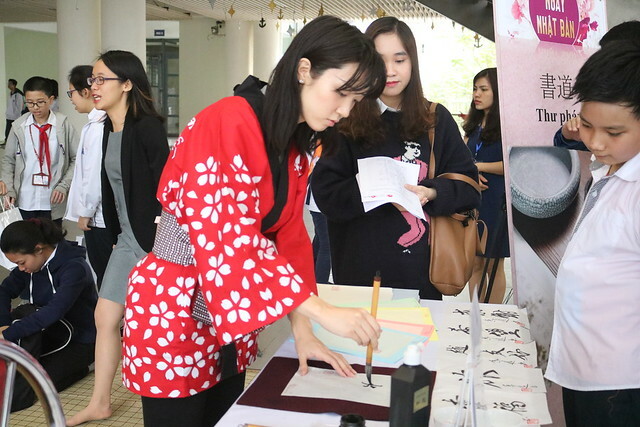 Japanese Day took place in a warm, cheerful atmosphere and had a successful finish. 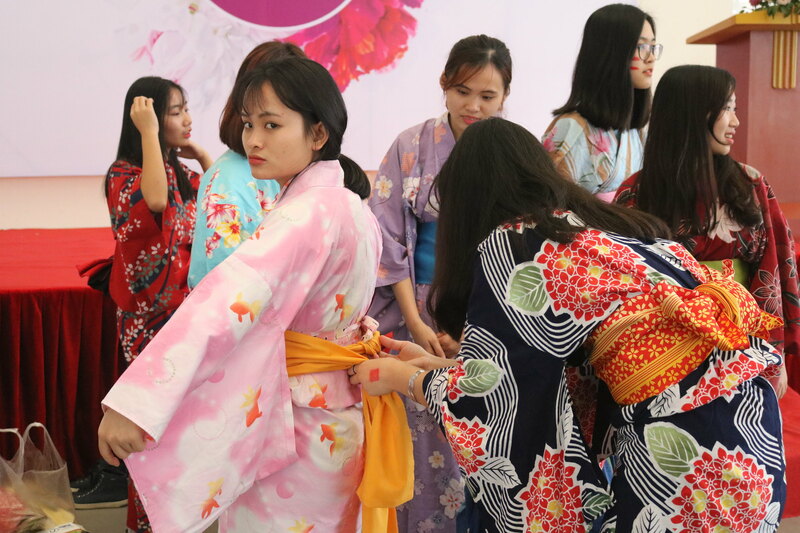 On behalf of the members of the Ams Wide Web, we hope that next year’s Japanese culture day will be even more successful.